The young & vigorous DAVIANS – the masterminds who have always brought name and fame to the school attained yet another milestone in the Regional Level Science Exhibition which was organized by Central Board of Secondary Education (CBSE) at Sanskriti Kanya Maha Vidyalya, Jalandhar from 15th to 17th May, 2014. In this prestigious event 82 schools from Haryana, Jammu & Kashmir and Punjab participated. A total of 127 Models were presented by the students, out of which 24 models were selected for the National Level Exhibition. The model of DAV International School on “Organic Farming” was one of these selected models in which it was shown that how healthy organic farming should be done by avoiding the use of pesticides. It was prepared by Gunjan Malhotra and Diksha Tuli – the aspiring students of 10th Std. of the school. Principal Ms. Anjana Gupta was overwhelmed at this stupendous achievement of her students and extended her blessings and best wishes to the students. Sh. Punam Suri, President (DAV College Managing Committee, New Delhi) extended his warm wishes to the school for this remarkable achievement and gave his blessings for its brighter future. On this occasion Sh. J.P. Shoor, Director PS-I & Aided Schools also congratulated the Principal, students & staff of the school. Chairman of the school Dr. V.P. 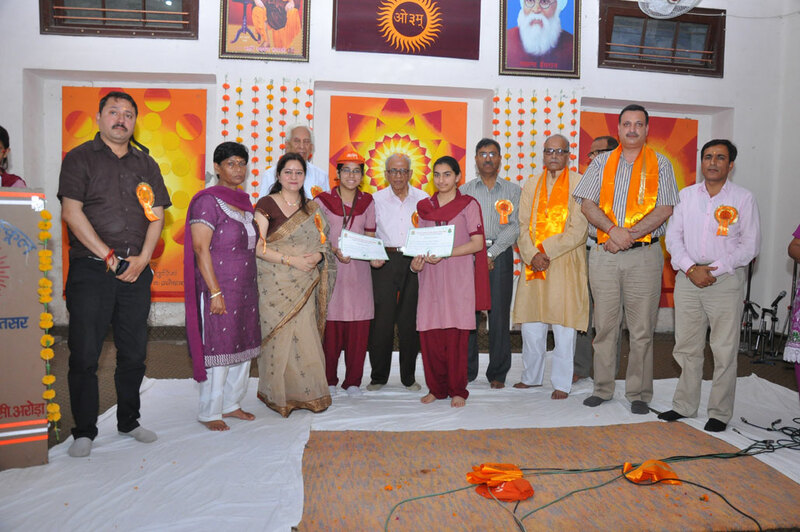 Lakhanpal, Regional Director – Dr. (Mrs.) Neelam Kamra and Manager of the school – Dr. K. N. Kaul gave their heartfelt wishes to the Principal, teachers, students and their parents and also wished them luck for the upcoming National Level Exhibition.